Joyce Domijan, VP of Strategy and Program Development for CareerArc has over twenty years of broad and successful human resource, training, and career development experience. 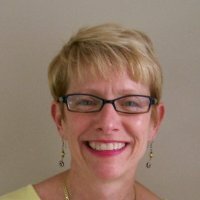 She is an experienced career coach, resume writer and leadership development trainer who has created and conducted programs for thousands of professionals. Please refer to these tips as guidelines and best practices, and be sure to consult with existing protocols and legal counsel. Notifying employees of their layoff or termination is considered to be one of the most difficult tasks in business. Not only is the process riddled with potential legal landmines, but delivering what is often life-changing news to a colleague unearths feelings of guilt, anxiety, and even panic. One of the main sources of stress is rooted in the uncertainty managers face when walking into a notification meeting–the meeting where an employer officially informs the employee of his or her termination. Not knowing how an employee will react to the news, nor how to respond to the possible reactions, are two main anxieties associated with the layoff process. Below is a scripted guide on how a notification meeting might take place. Although not meant to represent the ideal conversation, the script below is intended to act as a starting point in developing your own notification script as you approach a reduction in force. It covers the three main elements that are commonly covered in a notification meeting. 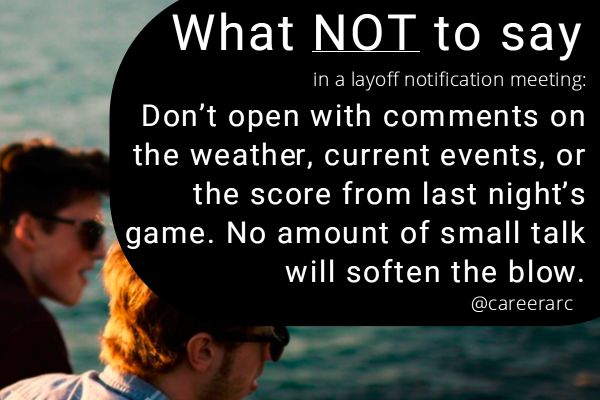 What not to say: Don’t open with comments on the weather, current events, or the score from last night’s game, etc. The temptation to beat around the bush is high at the top of the meeting, and often the first mistake is giving into the temptation to use small talk to stall the real conversation. But no amount of small talk will soften the blow, and worse, it may confuse by making the news of the termination all the more unexpected than if it were delivered straight away. We suggest getting to the point quickly. The goal of the notification meeting is to deliver the news to a colleague succinctly, with empathy and in a manner that allows the employee to retain their dignity. Greet the employee and remember to address him/her by first name. Manager: Hi [Name]. Thank you for meeting with me today. Deliver the verbal notice. Remember to speak slowly and calmly. Manager: I’ve called this meeting because I must unfortunately inform you that your position with the company is being eliminated. We do not have another position for you. This means you are being laid off and Human Resources will work with you to complete your transition. Here is your official Notice of Layoff. Hand the written notice or letter to the employee. Allow the employee time to read it and process the information. Manager: This decision was made after a long and careful review of the options, realizing that many good people would be affected. This has been a very difficult decision and was not easily made. I want you to know that it has been reviewed at the highest levels within the company and it is a final decision. As you may know, we are in a time of reorganization. Although, we’ve done everything possible to minimize the impact of these changes on our department, we still need to implement some very difficult decisions. I would like you to know that this action is not easily taken and is made only after long and careful review of many options. It is a final decision. While the temptation for small talk is high at the beginning, it is the temptation to ramble on or over-explain that rises after delivering the official notice. If you are able to communicate this hard news without rushing or rambling, the hard work is about 80% complete. Pay attention to your pace and delivery as your body language and intonation will help set the tone of the meeting. Manager: Do you have any questions? The employee will usually lead the conversation at this point. Answer questions directly, honestly and appropriately. You should have prepared answers to the most common questions prior to your meeting and you should expect reactions that could range from professional to emotional behavior. Would you like to take a brief break before we continue? Would you like to leave for the rest of the day and we can continue this discussion tomorrow? It is impossible to predict how each employee will react to news of their layoff, and the way you respond to these questions and reactions have legal implications. It is critical that you seek the support of senior managers, HR leaders, and your legal counsel to learn the boundaries of the conversation, as well as the best practices your organization has applied in past situations. Beyond this, the best preparation will come from anticipating the most likely scenarios for each individual you are preparing to notify, and delivering the news accordingly, without going dangerously off script. What are examples of dangerous, off-script tangents? Here are the most common. 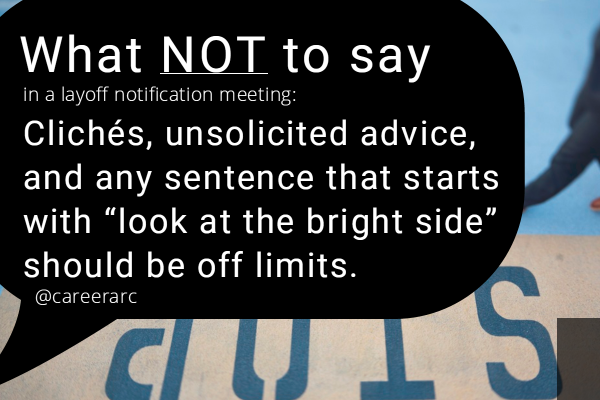 What not to say: Clichés, unsolicited advice, and any sentence that starts with “look at the bright side” should be off limits. Also avoid getting pulled into a discussion on the reasons behind the decision, such as being asked to explain why the particular employee was laid off and not someone else, or discussing performance issues which may have contributed to the decision. When the conversation goes off course, we recommend referring back to the message points you opened with at the top of the meeting to get the conversation back on track. Manager: I know this is difficult news, and as I mentioned, this decision was made after a long and careful review and with the knowledge that many good people would be affected. In this time of reorganization, we’ve researched every conceivable option to minimize the impact of these changes on each department, but unfortunately all those options still require us to make some very difficult decisions. Pause for a few seconds, then give one final chance for questions or clarifications before moving towards the conclusion of the meeting. Manager: Is everything I’ve said clear to you? Address any additional questions that arise, and if none, move on. Manager: At this point I need to go over the details of the rest of your week/day, as well as the resources that the company will provide to assist you in your transition. We have prepared an information package that will be helpful to you throughout this transition period. 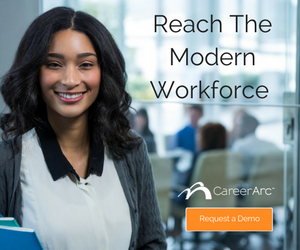 It provides you with information about services like CareerArc Outplacement, a career assistance platform and program with extensive resources to help you in your transition. This service and solution will equip you with tools, resources, and coaching to assist you in making your next career decision. I understand that this is a lot of news to take in, but we encourage you to review this information as soon as possible. If you have questions, contact [Name/Job Title]. We hope this quick guide provides the clay to help you mold your message. As you compose and rehearse your script, we advise you to also pay close attention to the unscripted elements–adding a pause at the right moments, refraining from negative body language and facial expressions, and maintaining a calm pace and tone in your speech. These nonverbal cues are subtle but can help you establish a professional yet empathetic environment while steering the discussion forward. The Peak-End rule in psychology states that we judge an experience largely based on how we felt at its peak (the most intense point) and at its end, rather than based on the total sum of the experience. Applying this rule to layoffs and terminations shows the importance of great preparation, delivery, and ending on as positive and supportive a note as possible. The notification meeting will set the tone and expectations for the final stages of an employee’s time at a company, so do your best to leave them with the impression that the company truly cares about them. Solutions like career assistance and outplacement not only extend a helping hand to impacted employees, but they also help cement an employee’s final impression of your company. These transition benefits allow your employees’ final experience with your brand to center around your willingness to assist them in pursuing their next career. Notifying employees of their layoff or termination is one of the most difficult tasks in business. 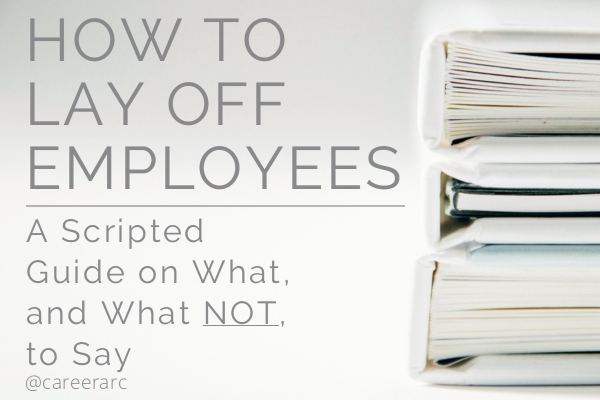 Learn how to lay off employees using this script.